Живопись для дизайнеров и архитекторов. Курс для бакалавров. 1-е изд. В книге изложена теоретическая часть и практические задания с методикой выполнения, рассмотрена связь учебных заданий с проектированием. Предложена примерная программа дисциплины «Живопись» («Декоративная живопись и цветографические интерпретации») в свете требований ФГОС ВПО нового поколения по направлениям «Архитектура» (Модуль: профессиональный язык коммуникаций), «Дизайн архитектурной среды» (Модуль: визуальная культура). The book contains theory and practical exercises with the methodology of their completion. The connection of assignments with the project development is described in the book. The authors present a pattern program for the discipline “Painting” (“Decorative painting and colour design”) according to the requirements of the new Federal state educational standard of higher professional education on the specialties “Architecture”(the Module: professional language of communication), “Design of the architectural space” (the Module: visual culture). 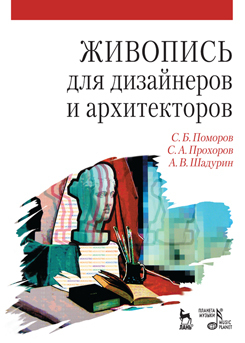 The textbook is intended for practical lessons on decorative transformation of paintings both with the use of the traditional materials and with the use of modern computer technologies, which is required by the program on painting while teaching students the specialties “Architecture” and “Design of the architectural space”.